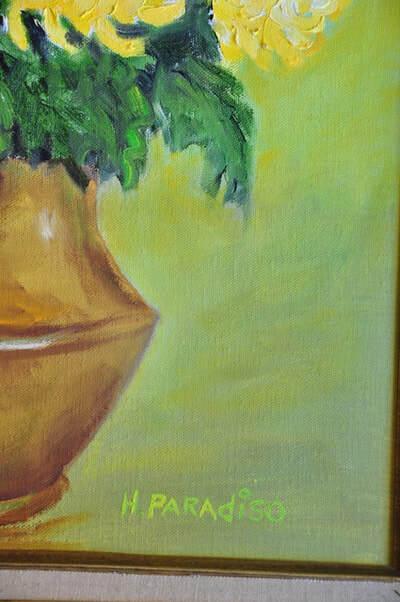 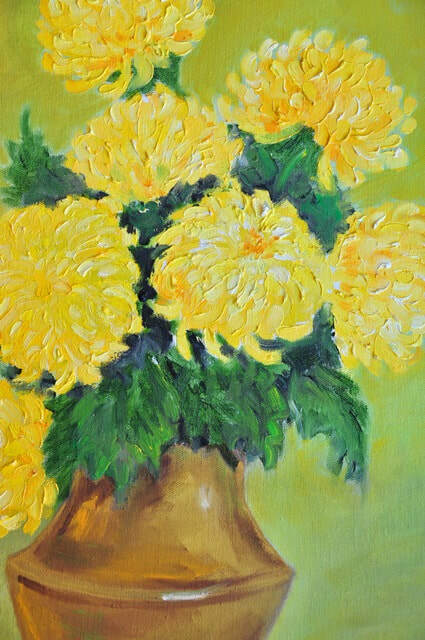 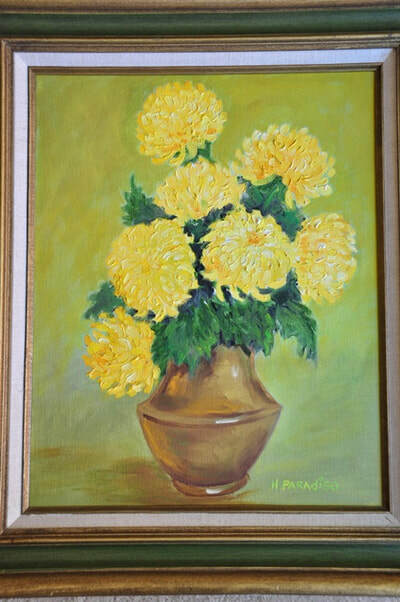 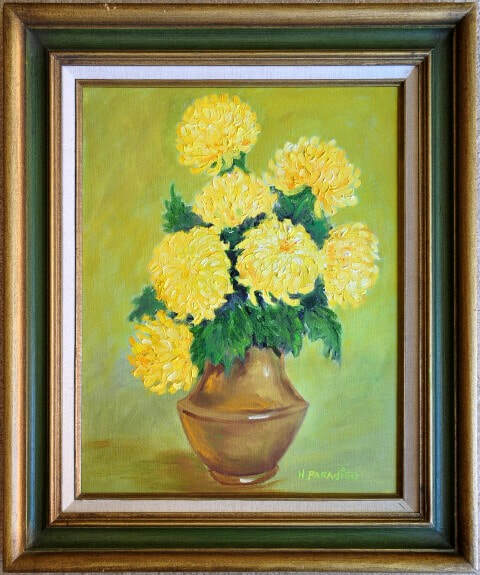 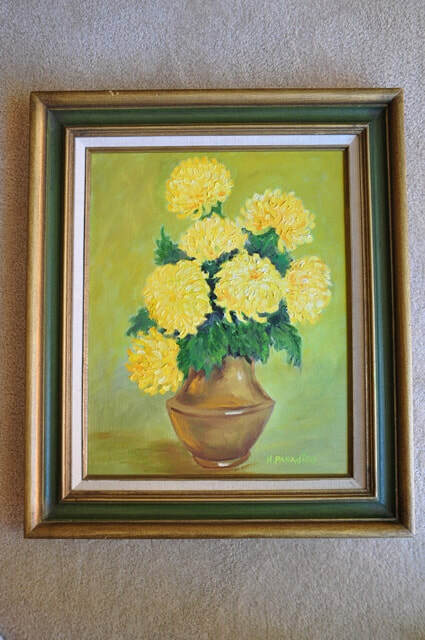 This is an original oil on canvas still life painting by H. Paradiso depicting a bunch of yellow flowers, possibly marigolds, in a vase. 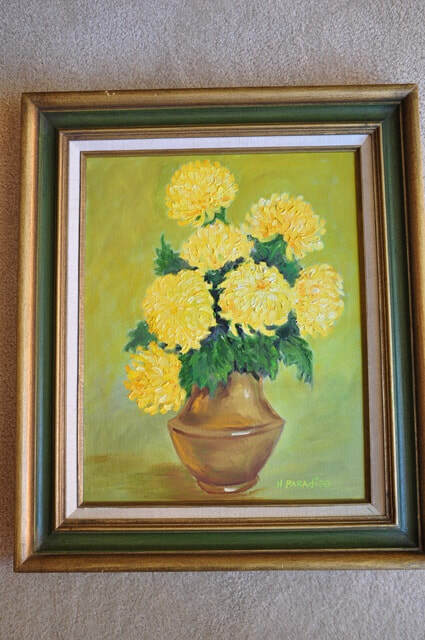 It is signed and is several decades old. The frame is 21"x25" in size.